An American Designing the Attire for Wimbledon? You Can NOT Be Serious! Polo says its inspiration was Wimbledon attire from the 1930s and 1940s, when players wore white pants and jackets on court. Polo’s original idea was to dress linesmen [who in the past have also worn green] in white shirts. 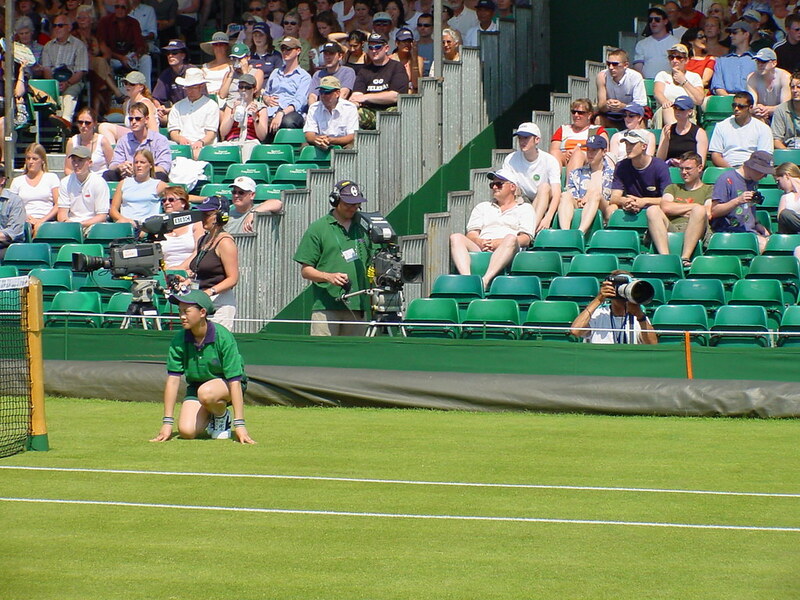 But Wimbledon officials vetoed it, fearing white shirts on a sunny day would distract players. Instead, linesmen will wear a blue-and-white pinstripe dress shirt with a white collar. Uh, right. McCowen might want to look at those drawings one more time. 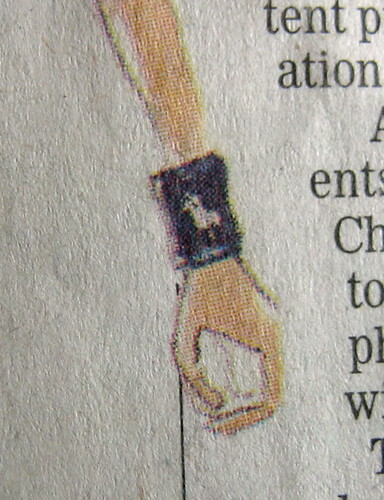 If he looks closely, in fact, he’ll see that Polo has actually annexed a bit of sartorial territory from him: The ballboys’ and ballgirls’ wristbands, which used to have the Wimbledon logo, are now slated to carry the Polo mark. One thing Uni Watch hasn’t been able to confirm: net judge attire, either for this year or in the past. This photo suggests that net judges may have worn the same green jackets as everyone else, or maybe it was a darker jacket — tough to say for sure, considering how much colors can vary on the web. Anyone know more about this? Meanwhile, moving from the court to the courtroom, it turns out that Adidas-sponsored players will be allowed to wear the company’s three-stripe design at Wimbledon, and it’s a fair bet that Nike and other companies will answer by increasing the size of the logo patches on their own sponsored players. 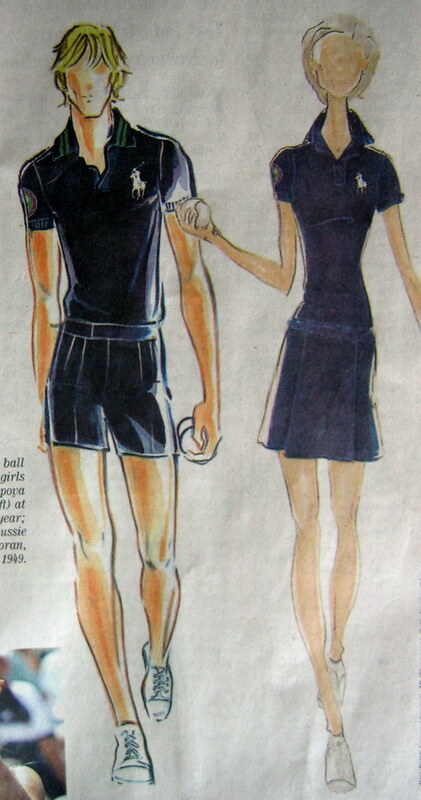 26 comments to An American Designing the Attire for Wimbledon? You Can NOT Be Serious! Also, is it necessary for Puma to have TV Number style logos on the shoulders??? Wow! I watch tennis as it is, but I’d be willing to guess that more men AND women would watch tennis if the ball boys and girls looked more like the man and woman in those drawings. not a big logo? youre right, he should look at the sketches again. I’ve never thought that the Polo logo was that big or annoying – in a time when all you see in tennis is huge Nike http://i16.ebayimg.com/02/i/05/14/17/5a_1_b.JPG and adidas http://www.justine-henin-hardenne.net/images/adidas_2.jpg logos, a tiny dude playing polo is a step in the right direction, even if this isn’t for players. Net judges won’t be wearing anything, because they don’t have net judges anymore. They replaced net judges with electronic sensors in the tape on the net to signal if a serve hits the net or not. What will the electronic sensors be wearing? I agree with the Italian goalie having the ugliest uni thus far. Although I have to say that the Nike goalie jerseys are pretty bad themselves. Reminds me of a medieval knight! Milwaukee is Wimbledon’s Sister City? A little know (but very true) trivia nugget from the NBA world of colors. 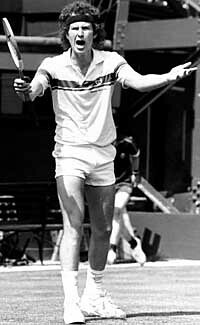 Mike Dunleavy back in 1992 sent a Wimbledon t-shirt with the purple. green and metallic silver color scheme and requested those be the new Bucks official team colors. “Perhaps no single person was more instrumental in the push for new uniforms, colors and logo than Bucks Vice President of Basketball Operations and then-Head Coach Mike Dunleavy. One of Dunleavy’s first thoughts upon signing an eight-year contract on May 12, 1992 was to upgrade the image of the club’s uniforms … to instill pride among the players and make them feel good about carrying Milwaukee’s colors in front of a national audience. Mike Dunleavy sent a Wimbledon t-shirt to the NBA and ask that those be the new Milwaukee Bucks team colors back in 1992. What they’ll be wearing will be censored. I like the new updated designs. I actually have a couple Big Pony shirts, the logo is rather large in person, but on tv I don’t think it’ll be that big of a deal. I mean, it’s gotta be worth Ralph Lauren’s while to design/provide these uniforms, so I’m not surprised they want the logo to be visible to the audience and tv viewers. I continue to contend that Nike makes the best World Cup uniforms, and they’ve done a great job keeping the logo creep down and the design team-distinctive. Re: Keller’s goalie jersey, it’s only ugly because HE CHEWS ON HIS COLLAR LIKE CRAZY! Anyone know if the World Cup goalies exchange jerseys (with anyone or each other). Always wondered that because I’ve never seen them do it and they wear those different jerseys. Given that numbers must be between 1-23 (23 man teams), do the players switch with their numerical counterpart? If that were the case, most opposing goalkeepers (who generally wear #1) would be switching with American backup Tim Howard instead of starting #18 Kasey Keller. plenty off-topic, but how cool is it seeing Brewers rookie pitcher Zach Jackson wear a number in the teens? Bring back this dying art! 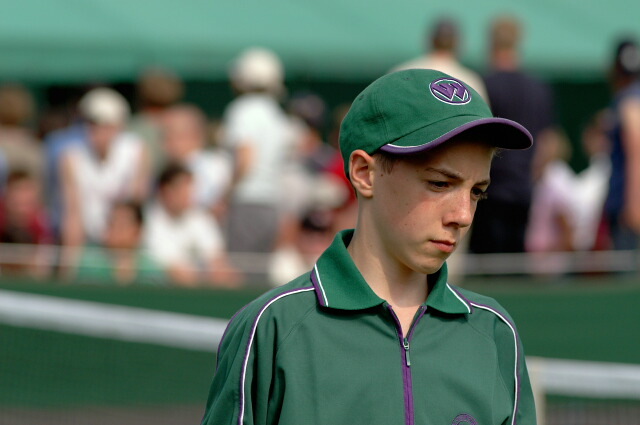 ralph lauren outfitted the ballboys/girls at the 2005 U.S. Open as well. If memory serves me correct that is wear the “big pony” shirt debuted. My webmaster is working on the URL problem. The links will will work if thre reader copies/pastes the entire URL into a browser window (which I know is a pain, but it’s not such a hardship). Earlier on, in the blog’s first few days, we had a different problem, which was that long URLs formatted themselves on a single line and thereby extended the width of the “Comments” window, which screwed up the look of the page. We fixed that problem, but now we’ve got this new problem. We’ll fix it, don’t worry. What you can do is this. Complicated for some, yes, but how to do it is outlined above the “leave a comment” box by “HTML allowed”, so just copy it from there. oops, misunderstood the “Code” tag. ahh i give up…. it looks like mr. webmaster fixed the broken link problem anyway.